Huawei launched the second edition of its Huawei Watch series at MWC earlier this year. The watch comes in two flavours: Classic and Sport. The one I am most interested in is the Huawei Watch 2 Sport. 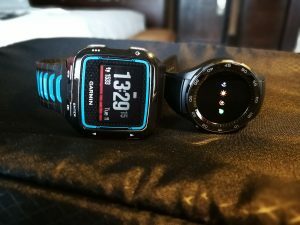 I was fortunate enough to get hands-on for an extended period through which I have pitted-it against my own, and now slightly elderly, Garmin Forerunner 920XT. Huawei bills the Watch 2 Sport as, ‘your perfect workout companion’. I was eager to see if it could beat a dedicated sports watch at its own game. Huawei and other smartwatch makers including Apple, who have been struggling to find a ‘killer application’ for smartwatches, have identified sports as hot prospect; players like Garmin, Suunto and Polar have been making a good living from dedicated sports watches for years. So can an Android Wear-based smartwatch deliver a knock-out blow to a dedicated sports watch? The straight answer is simply, no, it can’t. There are many good things about the Huawei Watch 2, but as a sports watch, it can’t do what I need it to reliably and effectively. It’s therefore increasingly being put to one side in favour of my trusty Garmin. For general smartwatch duties and lightweight activity tracking, the Huawei is absolutely fine – albeit with some challenges around battery life. But my focused intent here is to consider its role as a sports watch. And in this it falls short. 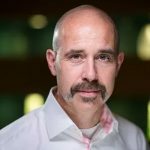 I am no Olympic athlete, but I do train relatively often – normally managing 8-10 hours per week split between swimming, running and cycling. I also do some High Intensity Interval Training (HIIT) and yoga. On unboxing the Watch 2, I was pleasantly surprised by how good it looks and the fact that the display is always on unlike, say, the Apple Watch that requires a decided flick of the wrist to light up the screen. No such issue with the Huawei, it provides an always-on display that simply becomes more detailed when it thinks you might be looking at. The ceramic bezel contains the antennas for GPS, Bluetooth, NFC and other communication modes – including 4G connectivity. While the 4G connectivity is undoubtedly a bonus for some, I have still not had occasion to use it. It is lightweight and nicely sized, it certainly doesn’t look out of place paired with a business suit, whereas the Garmin always seems a bit out of place with formal attire. My first intended workout with the Huawei Watch 2 was a swim session. The Watch 2 is rated as IP68 for water and dust resistance. However I was advised not to use it for swimming because the loudspeaker and microphone are not designed for lengthy immersion and the watch doesn’t have a mechanism for ejecting water unlike the Apple Watch Series 2. The Garmin Forerunner 920XT has no such issues and its buzzer is clearly audible underwater. So of my regular activities, Huawei Watch 2 is unsuitable for swimming, which is not great. 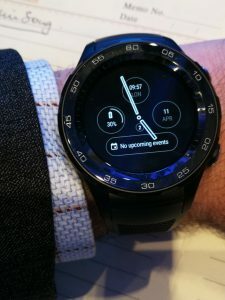 I am led to believe this functionality will be added to future versions of Huawei’s smartwatches, but Huawei Watch 2 Sport is to be confined to dry land with an occasional splash doing it no harm. Battery blues: Not long after receiving the watch I went on a walking holiday with my family. On most days we headed out on long walks – typically lasting 4-5 hours. On the first outing I set the watch to record the walk. However after only a few hours I felt a buzz on my wrist. It was the watch telling me its battery was largely depleted and it was putting itself into a power saving mode where all GPS-based recording stopped. It still functioned to tell the time, but that was about it; not even playing set alarms, as I later found to my cost. This was pretty surprising and disappointing. I tried again on subsequent walks, even delaying taking it off charge until we were heading out of the door, but to no avail. It didn’t manage to record a single walk. At the briefing Counterpoint was given prior to the product’s launch, I noted that the advertised battery life was claimed to be around 11 hours in GPS mode. My walks were not that long, but I wasn’t even getting close to 11 hours. It remains unclear why the battery was depleted so quickly. Since returning from the holiday, it has been capable of recording three hour bike rides without destroying the battery life. For running and cycling I have been wearing both the Huawei (on my left wrist) and the Garmin (on my right). Distance tracking good, heart rate tracking less good: Both devices are fairly consistent on recording the distance covered. On average there’s a significantly less than 1% delta. 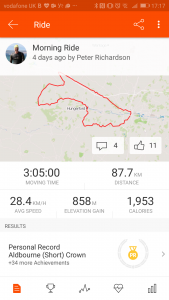 For example a cycle ride I did recently was captured by the Garmin as 87.71km, while the Huawei Watch recorded it as 87.45km. I also plotted the route using an online tool and it gave a distance between the two recordings. A difference of 250m over almost 90km is pretty good. However heart rate tracking is much less consistent. The Garmin Forerunner 920XT doesn’t have an integrated heart rate monitor; relying instead on a chest strap device. Chest straps detect the heart’s electrical activity and are known to be significantly more accurate than optical ‘through-skin’ monitoring. Newer versions in the Garmin Forerunner series, such as the 735XT and the 935, do have optical heart rate monitors, but all are also able to use a compatible chest strap. In active use the optical heart rate monitoring offered by the Huawei watch records some wild swings in heart rate and peak heart rates that I am simply incapable of. This is likely due to the vigorous motion while running disturbing the recording accuracy. For example on a recent run it recorded a peak heart rate of 202 bpm and a minimum during the run of 65bpm, whereas the Garmin recorded the peak as 172 bpm and a minimum of 149 bpm. The average heart rates during the run were fairly consistent though – but given the swings recorded by the Huawei watch, this seems more like a coincidence than anything more solid. During cycling the heart rate monitoring is closer to that recorded by the Garmin, though not the same. And it still records peaks that I have never seen while riding my bike. In the previously mentioned bike ride, the Huawei had my average heart rate at 142 bpm with a peak of 184 bpm. The Garmin recorded a 148 bpm average with a, more likely, peak rate of 169 bpm. Given that I averaged almost 30km/h for the ride and it included ~860 meters of elevation gain, I think the 148bpm is more likely than the 142. 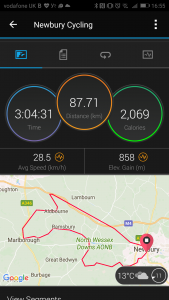 Apps showing the detail from my bike ride – Huawei Fit on the left, Garmin on the right. The difference in the time recorded in the screenshots from the apps is due to the Garmin being set to auto-pause on getting held up by something like traffic lights. Huawei’s native application doesn’t seem to support auto-pause, although some applications that can be used with the watch do support it. Where the wrist-based heart rate monitoring does come into its own however, is at rest. In this situation the monitoring seems to be quite accurate and is able to record resting heart rates, even while sleeping. This can also be done with a chest strap but it’s much less practical. I am, nevertheless, a bit suspicious of the heart rates recorded by the Huawei Watch 2 given how inaccurate it is during exercise, but I am more inclined to believe the resting state than the active. The net result is that the heart rate monitoring is only partially suitable for my needs. I have been a vocal critic of the Garmin user interface. The Garmin Forerunner 920XT has six physical buttons. Admittedly, one them is used only for power and activating the backlight. But still, five buttons seems like a lot. The Huawei, by contrast, makes do with just two. The Garmin also has what seems a rather convoluted user interface with myriad functions. Many of the screens can be customised to show just the data you need. However the process of tailoring the device is not particularly easy and requires a degree of persistence and dexterity with the many buttons, and a good memory for where certain functions are hidden. For instance one of the options is to provide pace guidance, which can be varied to suit whatever speed you want to run. However locating the option and adjusting the pace, without referring to the user guide, is frustrating at best. However what I have learned with the Garmin watch is that it contains a huge amount of functionality with tremendous scope for customisation. Once you’ve learned the basic commands and interaction styles, it becomes relatively easy to use. And as with many pieces application-specific equipment – whether an aircraft flight deck, an SLR camera or a humble transistor radio, having a button do a job reliably and repeatedly, breeds confidence that the device will do what it is designed to do. In the heat of training or racing, knowing which button to press to elicit a certain response without having to look at the device is worth a huge amount. By contrast smart watches, in general, have adopted the smartphone approach to a significant degree. That is to be something like a blank slate onto which a large number of functions can be grafted through applications. This has clearly revolutionised the mobile phone, but the watch is a less convincing case. And in the case of the Huawei Watch 2 Sport, it means a difficult user experience during sports. A press of the lower of the two buttons brings up a dedicated activity menu. You can then scroll using the touch screen to select the work out type from a short list that includes things like running, cycling, walking and a few others. Once selected the watch looks for a GPS signal (assuming the workout type requires a GPS signal). Provided you’re in a reasonably open area the watch is relatively quick at locating the satellites; although it needs about double the time the Garmin needs. Another press of the same button and the watch gives a three second countdown and you’re off. A further press seems to pause the workout, but the feedback on this is poor. If you want to stop and save the workout an on-screen button provides for this, though the button is small and easy to miss. Once into a workout the screen goes quite dark and it is hard to discern any information on the display in bright day light. I am getting to the point where I need reading glasses and I simply can’t make out what’s on the display. The Garmin watch by contrast offers a clear display that I can read without problem, even without reading glasses and it stays on all the time. On the Huawei Watch there’s no ‘lap’ button. You start the workout and when you’re done you stop it. There seem to be few additional options for ‘in workout’ information, marking intervals or any of a number of other useful types of feedback required of a sports watch. Aside from the ‘on-device’ information, both the Garmin and the Huawei Watch have companion smartphone apps. And, in the case of Garmin, cloud and PC based applications as well. So in addition to the huge amount of current and completed performance information the Garmin watch can tell you, the off-board apps multiply this capability massively, with rich potential for analysis and tracking over time. The applications also link broadly to other applications – Strava, for example, being one that I use (the image below is the same ride as captured above here shown in the Strava app). By contrast the Huawei Watch 2 provides a less positive experience. There are actually several apps that can synchronise workout information. Huawei’s own Health app being the primary one. But Google Fit is another, although I seem unable to get Google Fit to recognise data gathered by the Huawei Watch. There are other applications that I could use to track my sports activities – for example Runtastic. However compared to the dedicated and optimised experience offered by the Garmin devices, these all seem second rate and not truly fit for purpose. As a smart watch that tells the time, provides notifications, tracks basic physical activity and looks good, the Huawei Watch 2 Sport is more or less ideal, aside from the poor battery life. However it is not a match for the application-specific Garmin Forerunner series. These are made for a purpose and, despite my difficulties with the Garmin user interface, prove to be best-of-breed for tracking sporting activity. They’re not as good as the Huawei at some of the other ‘smartwatch’ functions – though they do provide notifications – but they don’t support the downloading of other applications for example. So it’s ‘horses for courses’. If you want to track sports in a serious way, get a serious sports watch like the Garmin. 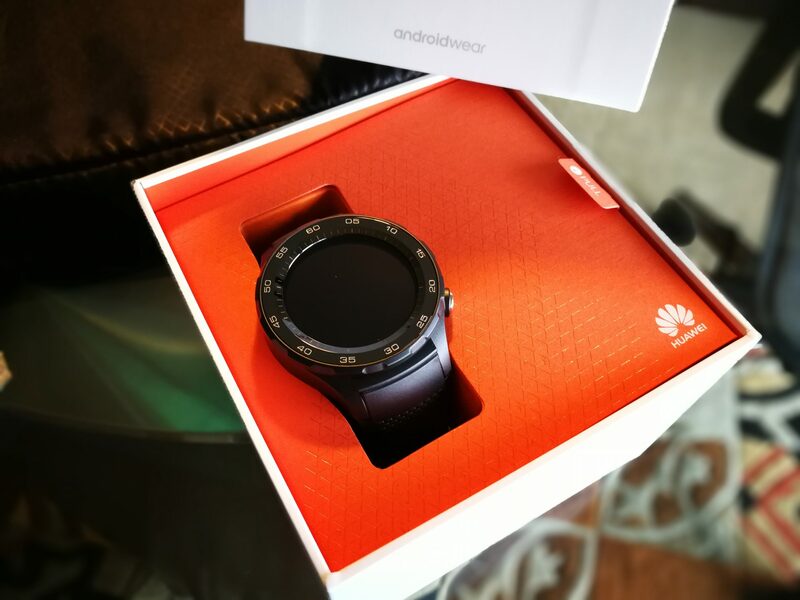 If you want the benefits that Android Wear 2.0 can offer in a good looking package, then the Huawei is a perfectly adequate compromise. Just not one for heavy sporting activity.